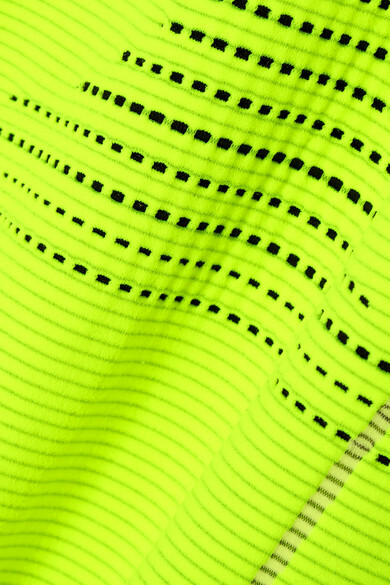 Virgil Abloh aptly named Off-White's sportswear-driven Spring '19 collection 'Track and Field' - he even selected a few Olympic athletes to walk alongside models on the runway. 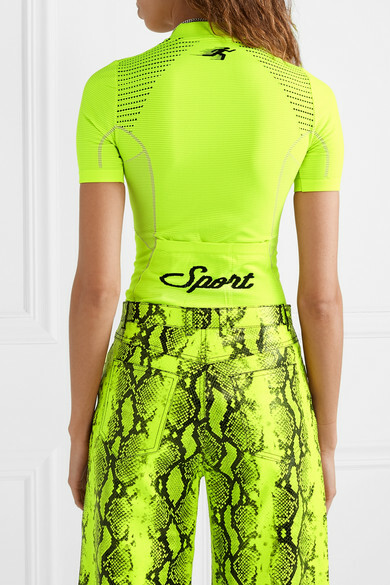 This cycling-inspired top is made from neon jacquard-knit that's woven with the brand's logo, the word 'Sport' and curved stripes to give the illusion of an hourglass shape. It has a trio of discreet pockets at the back that are better suited for your favorite lipstick than a water bottle. Shown here with: Off-White Pants, rag & bone Belt bag, Alexander Wang Sandals.